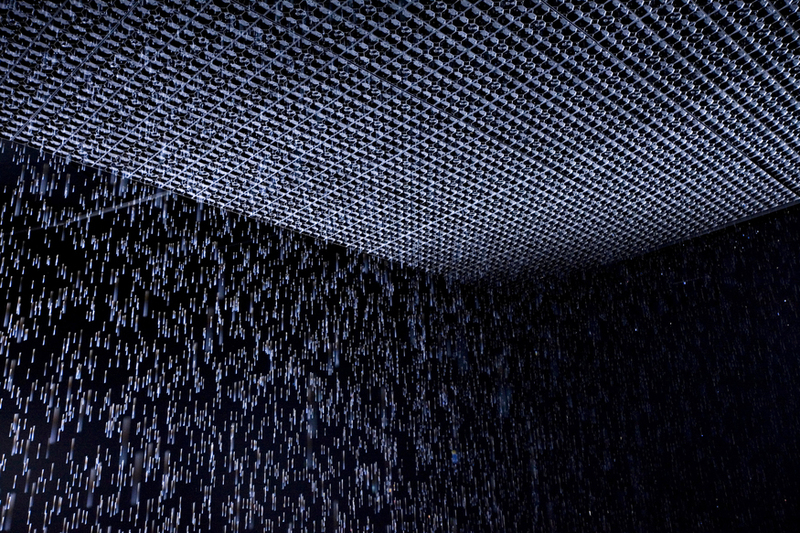 Random International is an arts collaborative that has designed an installation of cascading water. Cue jokes from visitors about stepping inside and away from the rain, just to queue up to go back into it. 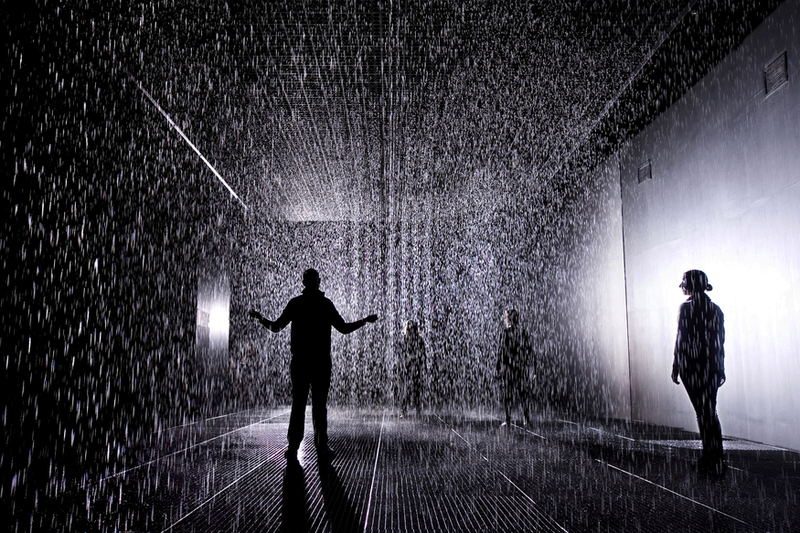 The difference here is the 'rain' is programmed to ensure that you won't get wet. 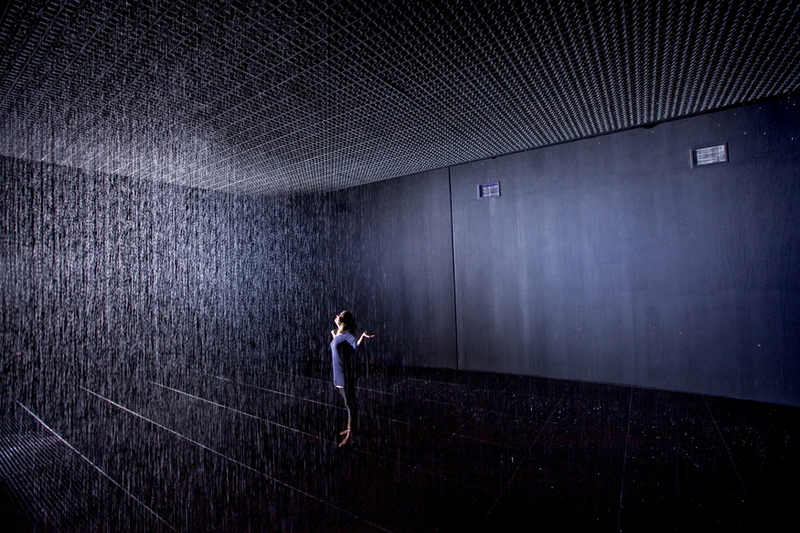 The installation tracks your movements and will halt the rain as you walk towards it. It's a surreal experience that's the closest you're likely to get to emulating Moses. 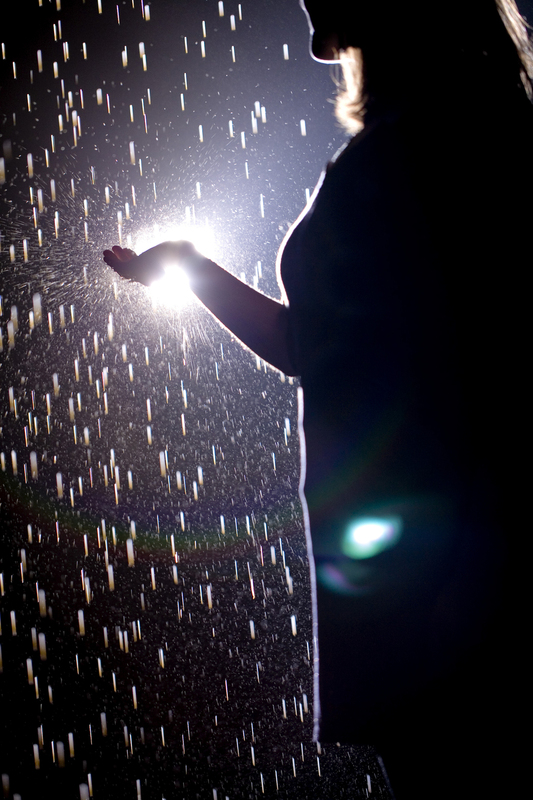 A bright light at the end of the darkened gallery makes the rain glisten so participants can see and hear the rain, but it's as if an invisible force field is protecting them. Though the system is pretty good at anticipation, it's not flawless and erratic or rapid movements will result in a brief splattering. 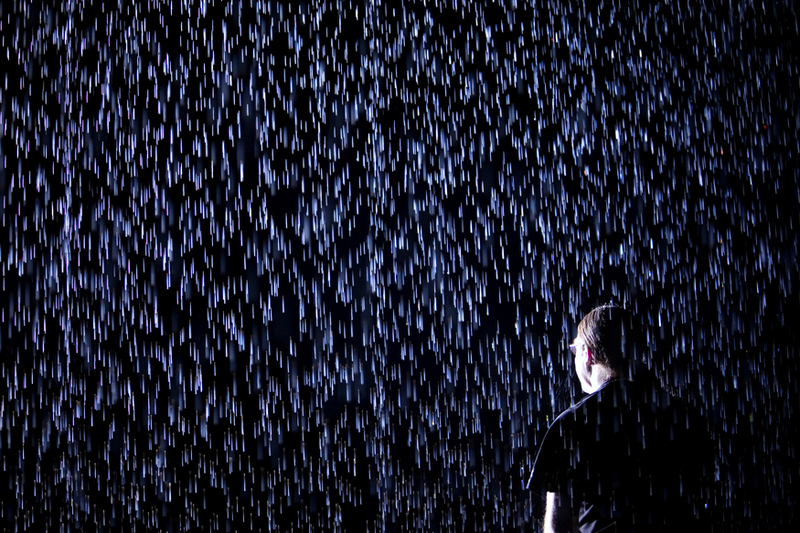 Our main bugbear with this exhibition is that the installation is relatively small and letting approximately ten people in at a time prevents visitors from feeling fully encapsulated within the rain. It's also worth noting that opening week queues are horrendously long and waits of 90 minutes or more are to be expected. Despite these drawbacks, walking towards the rain and knowing it will stop is a bizarre yet enthralling sensory experience that provides an unnatural sense of control that needs to be felt first-hand. 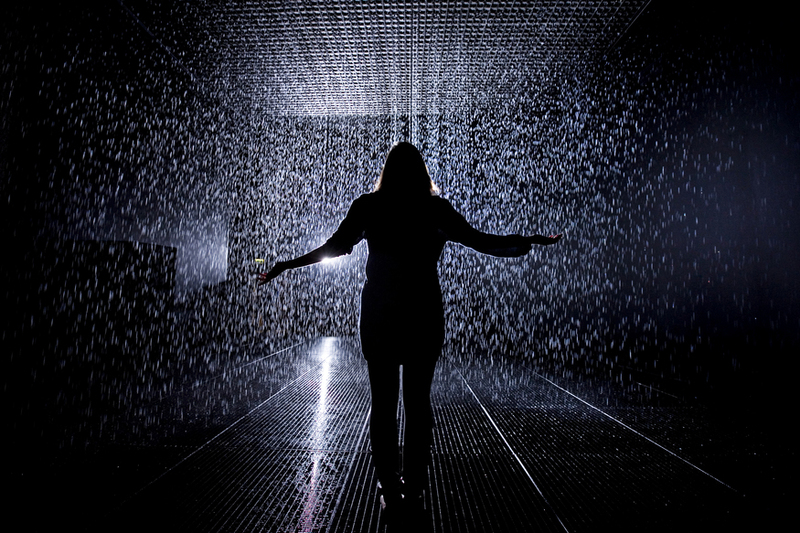 Rain Room: Random International is on display in The Curve, Barbican Centre until 3 March 2013. Admission is free.